Drivers are still failing to use plug-in hybrid company cars as intended, putting the fleet industry at risk of losing government backing. So says TMC as its latest analysis indicates that some PHEV drivers never charge their cars at all, relying solely on the engine, while still benefiting from reduced company car tax charges. Research of the 2,432 PHEVs and non-plug-in hybrids on TMC’s fuel and mileage database found they average 49.06mpg on the road; about the same as the average for diesel cars on the database and broadly in line with similar analysis carried out a year ago. The analysis indicates that the cars are either not being charged; or are allocated to drivers who do a lot of long journeys, or a combination of the two. As such, they are bringing increased costs for fleets as well as emissions too. But they could also be risking the loss of valuable government support for such vehicles, according to TMC managing director Paul Hollick. His comments come just weeks after the Government withdrew grants of up to £4,500 towards the purchase of plug-in vehicles from PHEVs designed to cover less than 70 miles on electric power alone. In response, Hollick has said the figures should act as a wake-up call to business fleet operators to make changes. “Businesses need to ensure they have a strategy when adopting PHEVs, to make sure they are fit for purpose and that the necessary infrastructure is there. How are they going to be charged? At the office? At home? This needs to be nailed down before any electric vehicles are ordered. Plug in hybrids can be cost-effective when drivers cover moderate miles, but only if the cars’ batteries are recharged regularly. “Effective management tools are readily available to allow companies to capture mpg data and address the behaviours of offending drivers. But many don’t use them,” he said. However, fleet management and car benefit specialist Fleet Evolution has rebutted the claims. 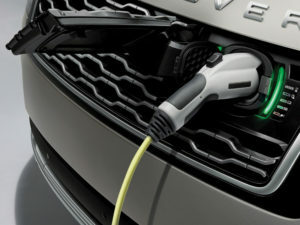 Andrew Leech, managing director at Fleet Evolution, whose forward order banks from customers now comprise almost 50% of EVs, said: “In our experience, there is a very good reason why the three-pin charging cable remains in the boot. We provide free home chargers to all our ULEV drivers so that they can charge at home. Leech added that Fleet Evolution drivers were always provided with guidance on how and where to recharge their vehicles and how to get the best performance from them. He also said that rather than discouraging drivers from selecting PHEVs by abolishing the Plug-In Car Grant for hybrids, more should be done to encourage their uptake.